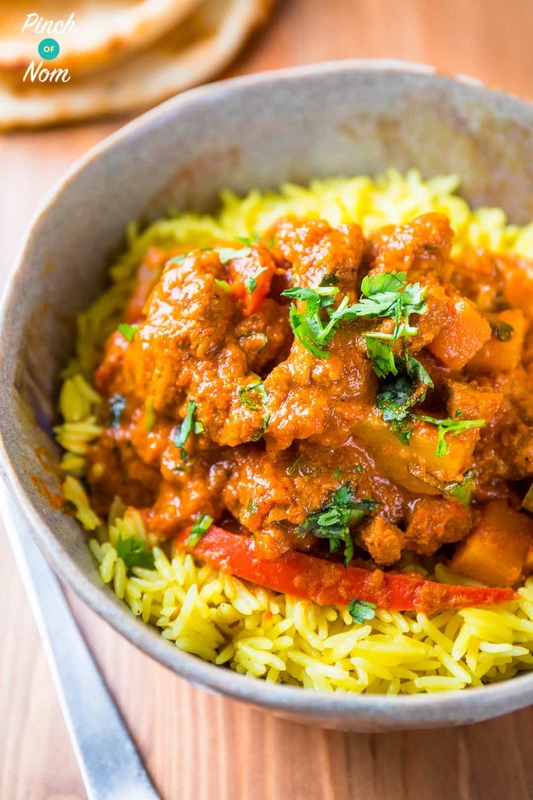 Forget the takeaway and enjoy this Lamb Rogan Josh Curry, perfect when counting calories or following plans like Slimming World and Weight Watchers! 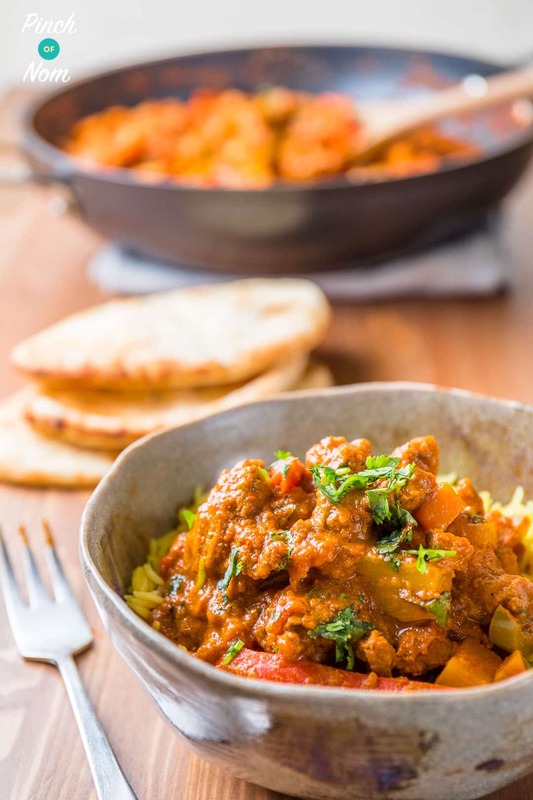 This Lamb Rogan Josh Curry has to be one of my favourite slimming curry recipes of all time. It reminds me a lot of our Balti Curry, and makes the perfect dinner. 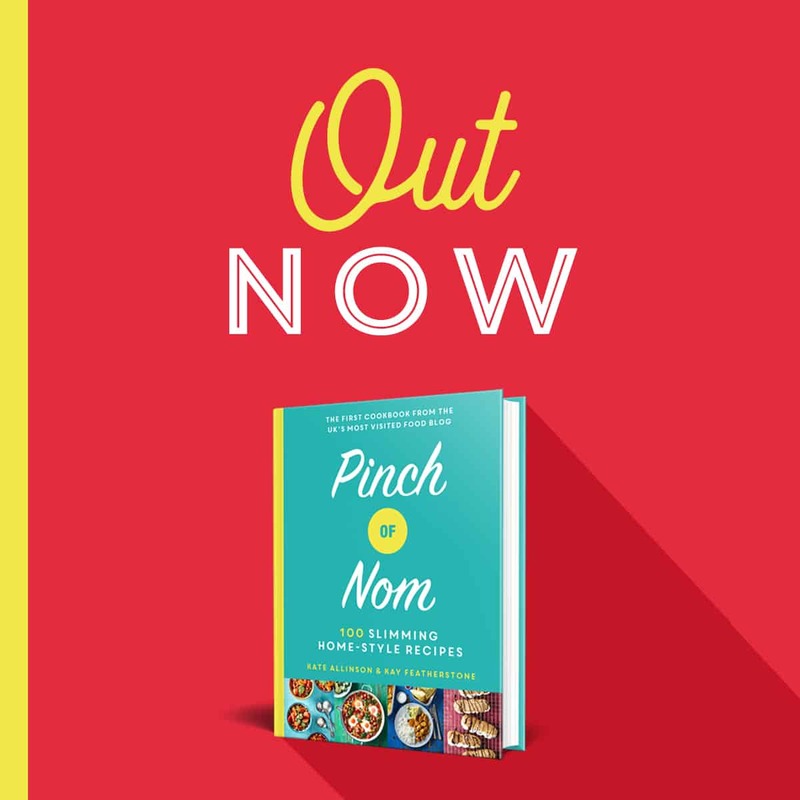 We’ve been working on some curry recipes for a while now, trying to minimise the amount of “faff”, because no one wants to slave over a cooker at the end of a long day. 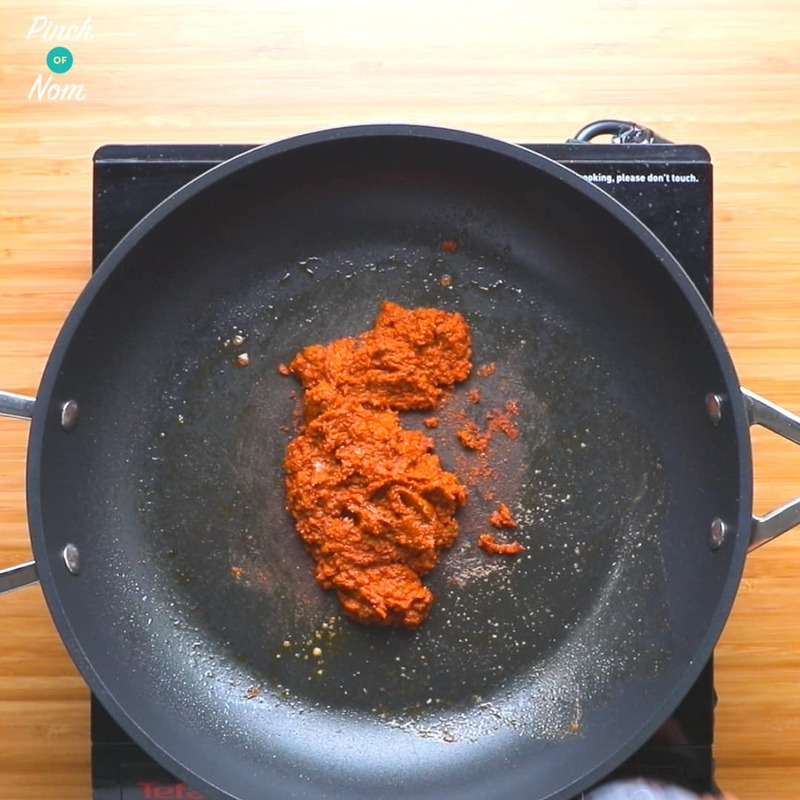 This Lamb Rogan Josh Curry is pretty special in the way that you make up the curry paste, then you can use it when ever you like. Most curry pastes are laden with oil, which is partly there to preserve the paste and extend shelf life. Obviously, if you’re counting calories or following the Slimming World or Weight Watchers plans, then oil isn’t your friend. 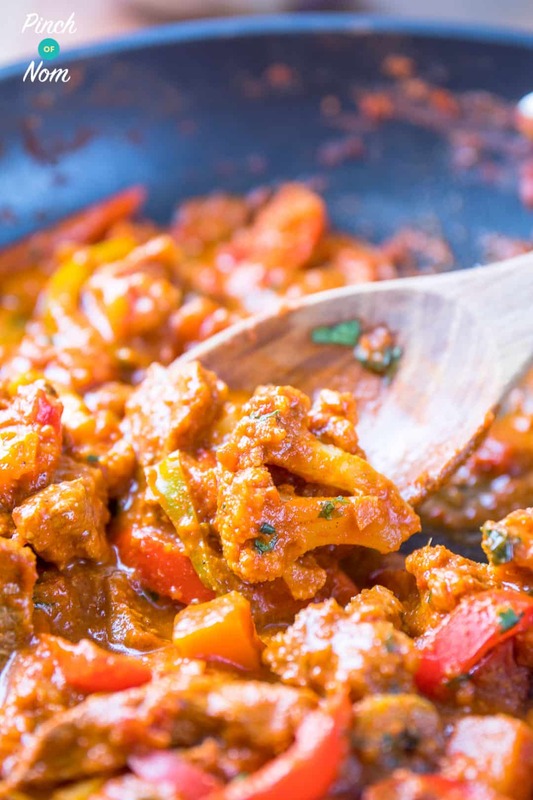 Our Lamb Rogan Josh Curry paste doesn’t have much oil in it at all – only a little low calorie cooking spray! 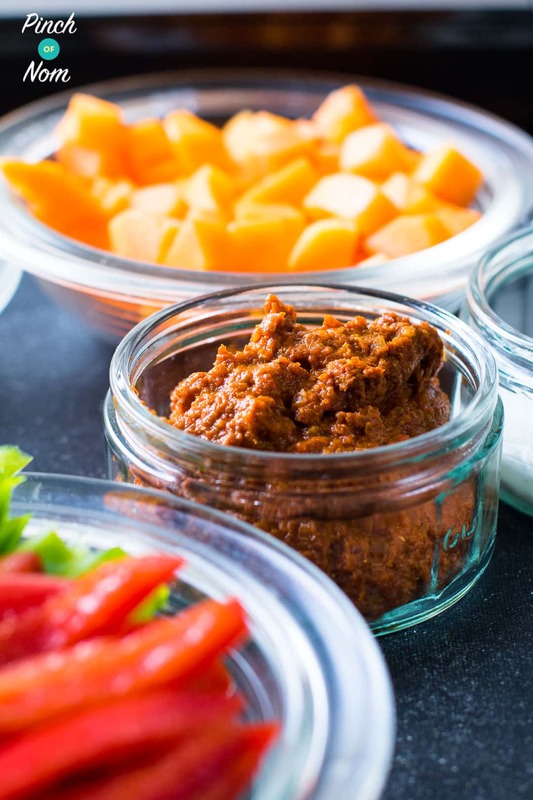 The Lamb Rogan Josh Curry paste will last a few days in the fridge, but make sure to sterilise your jar first. You can also freeze it in an ice cube tray, and just take them out of the freezer when ever you like. We like to add as many vegetables as possible to our curries – the more the merrier! 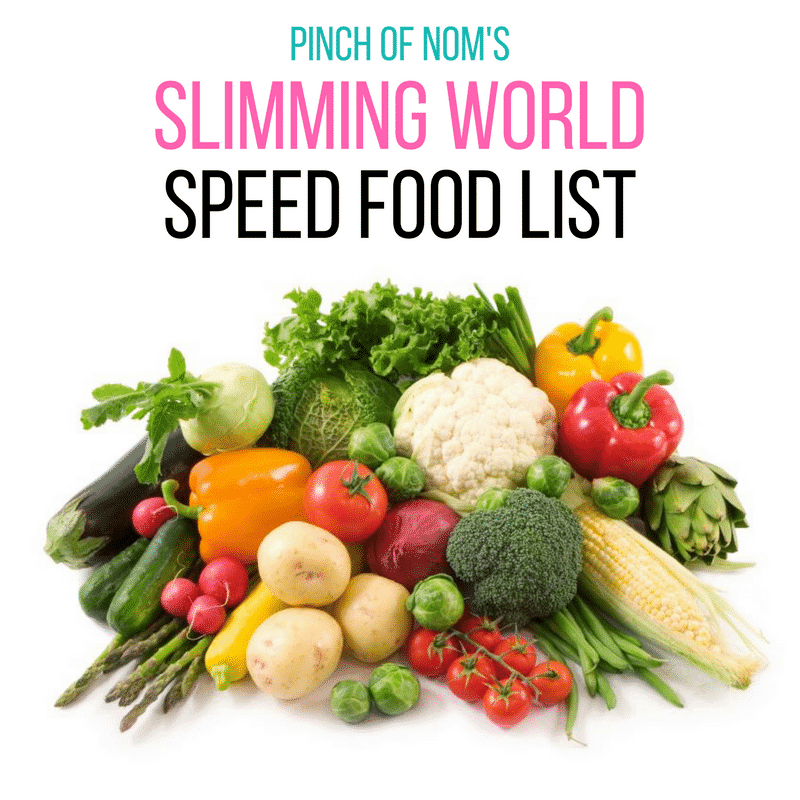 For those following Slimming World who need some inspiration, check out our list of Slimming World Speed Foods here. 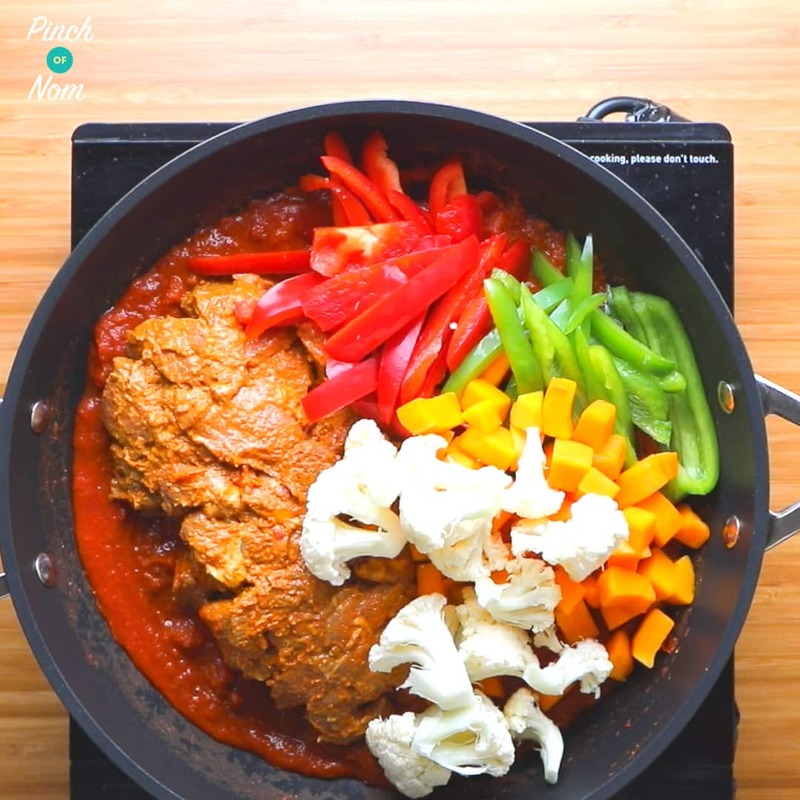 What do I need to make this Lamb Rogan Josh Curry? 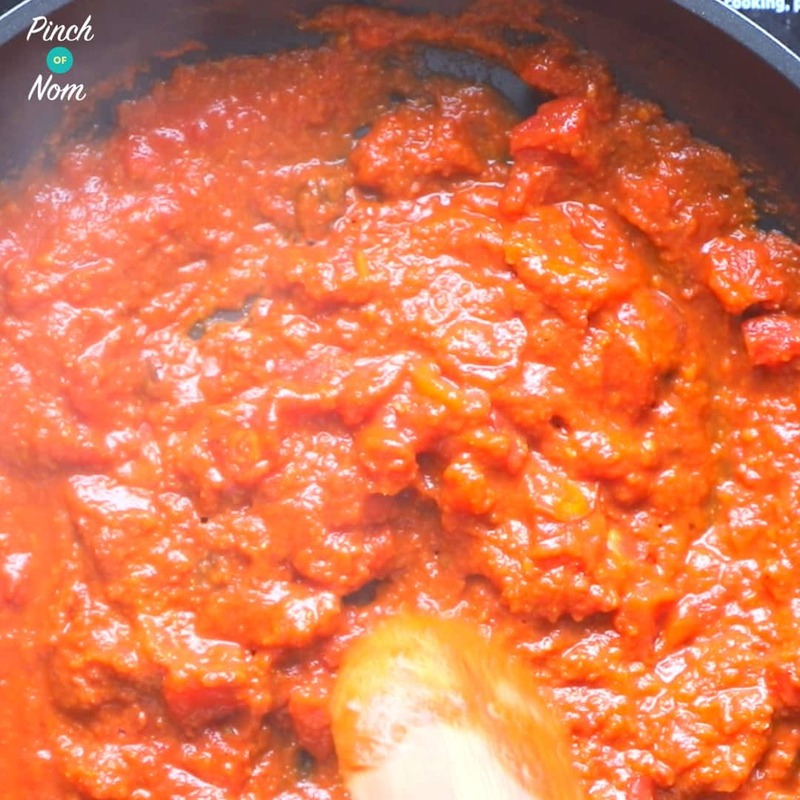 All you need is a pan, the ingredients below and a food processor to make the paste. 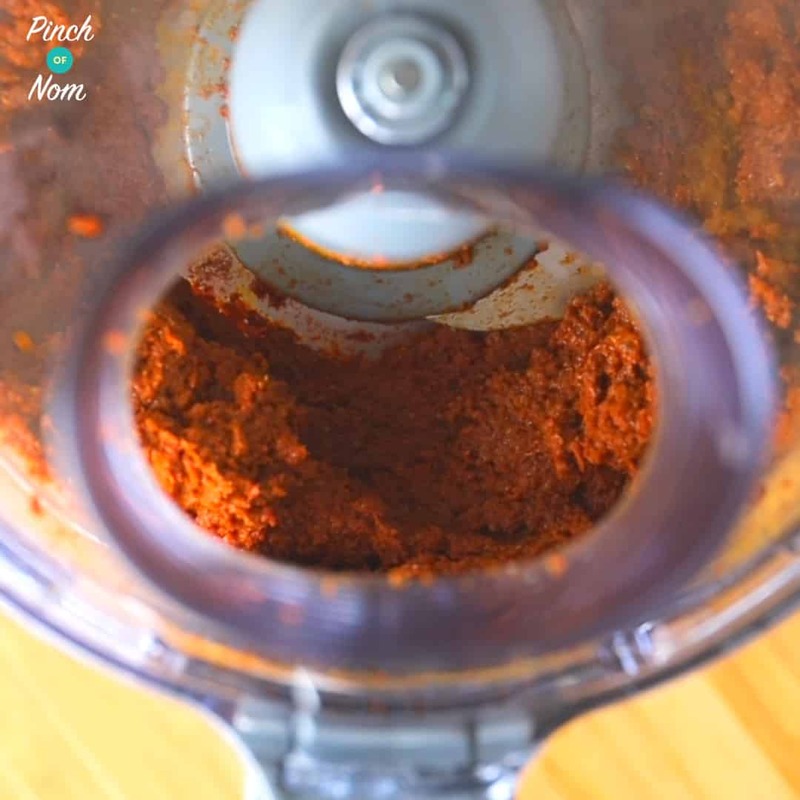 Don’t have a food processor? You could also use a blender, or stick blender even. 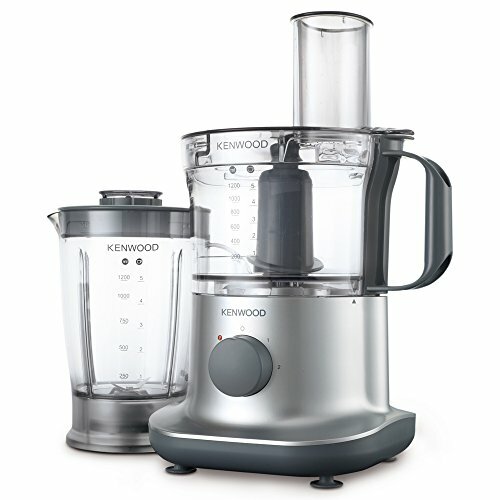 We used this Kenwood food processor, as it’s pretty damn cheap and as you can see in the video below, gets the job done incredibly well! 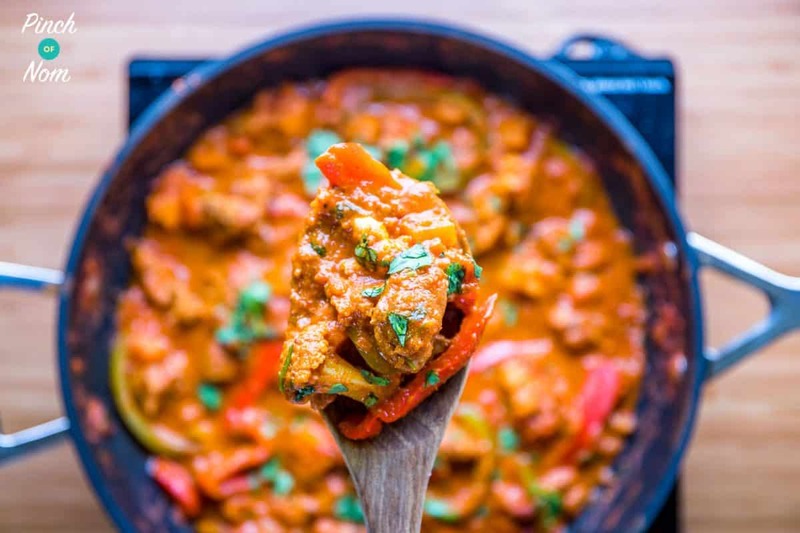 How hot this Lamb Rogan Josh Curry? I’d rate this Lamb Rogan Josh Curry as medium, and I’m SUPER sensitive to spice. If you like your curries mild, then leave out the chilli and just add some chilli powder right at the end according to your taste. You could also leave it out all together! What can I have with this Lamb Rogan Josh Curry? You have a few options! 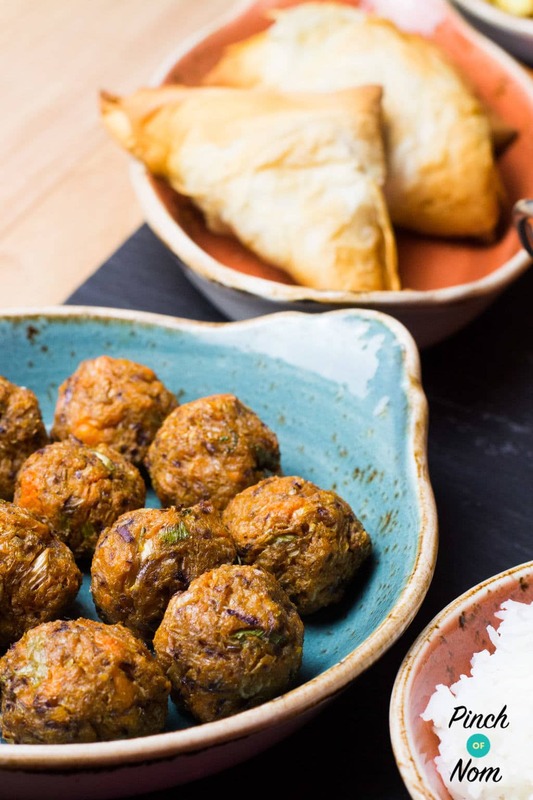 You could make some Onion Bhajis, Samosas or even some Sweet Potato Pakoras! Can I freeze this Lamb Rogan Josh Curry? Yes you can! In fact, this recipe is prefect for batch cooking and freezing. You can freeze the paste, and you can freeze the finished dish. Just make sure when you reheat, that it’s piping hot throughout. How many calories is this Lamb Rogan Josh Curry? There’s 371 calories per portion of this Lamb Rogan Josh Curry. From the takeaway this dish can set you back 611 calories, so there’s a huge saving by making our version! How Slimming World friendly is this Lamb Rogan Josh Curry? 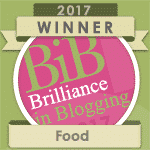 As the title suggests, it’s Syn Free! But only if you use lean diced lamb. If your cutting lamb steaks up yourself, make sure that you remove all visible fat. If you don’t like lamb you could always use chicken, beef, pork – what ever meat you like. You could even leave it out all together. How Weight Watchers friendly is this Lamb Rogan Josh Curry? At just 6 Points a serving, our recipe for Lamb Rogan Josh is a winner for people following Weight Watchers. In an Indian restaurant you would have to count a whopping 32 Points for Lamb Rogan Josh, so it’s definitely worth making your own! 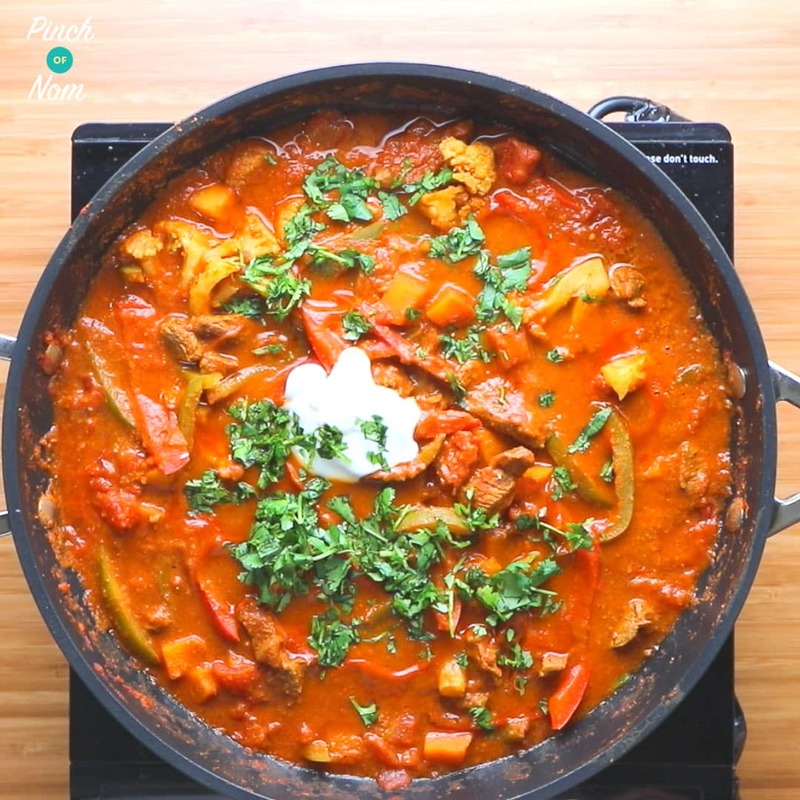 Some of you love this Lamb Rogan Josh Curry recipe! 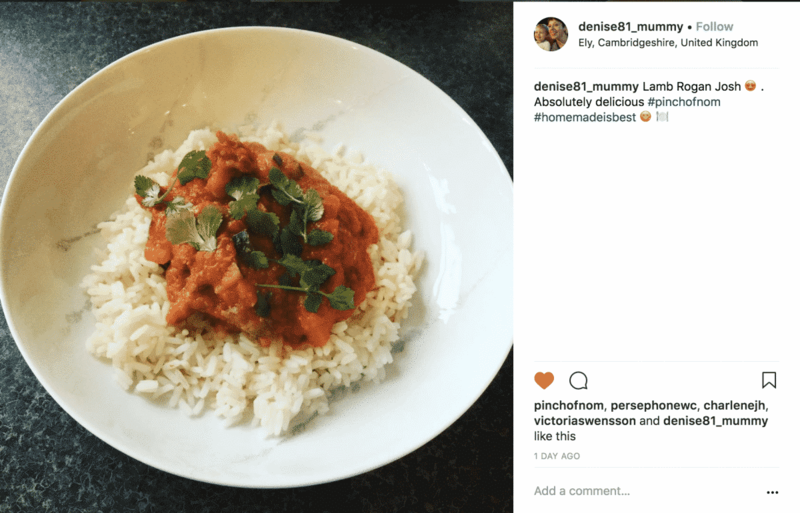 One of our Instagram followers @denise81_mummy made this dish and loved it! 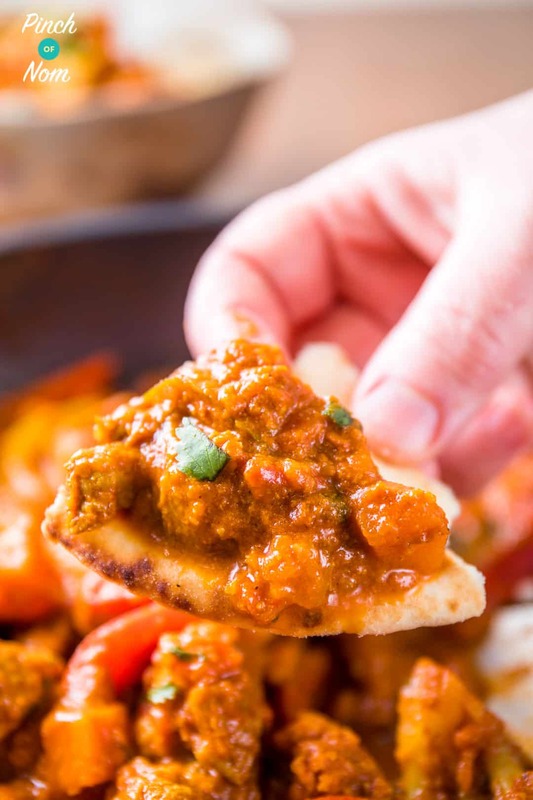 This Lamb Rogan Josh Curry is SO easy to make! 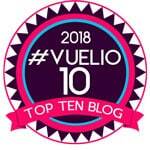 Watch the video!! 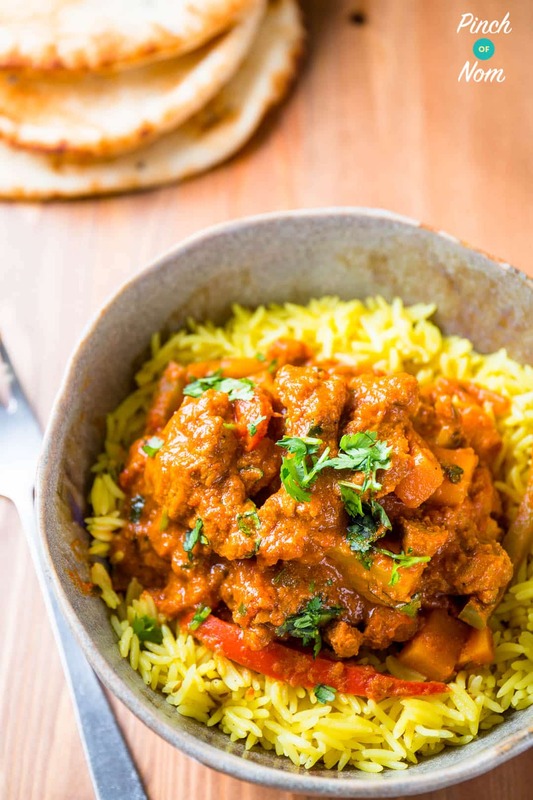 How do I make this Lamb Rogan Josh Curry? For a FULL list of ingredients and instructions please see the recipe card at the bottom of this post. Spay a frying pan with Frylight, and fry the onion, ginger and chilli until brown. 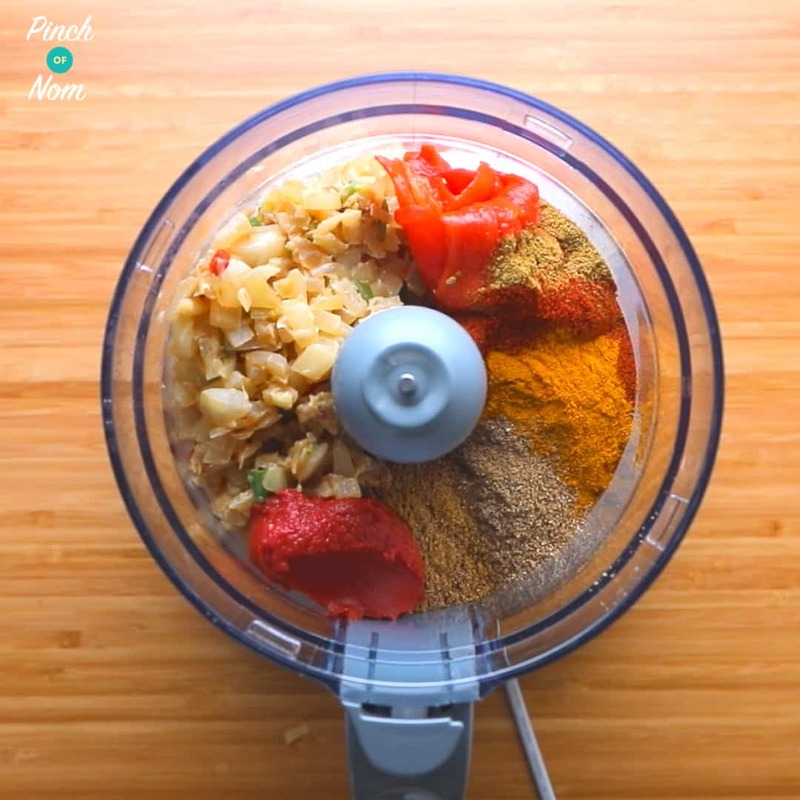 Place the fried onions, garlic and chilli into a food processor along with all of the Rogan Josh Curry Paste ingredients (a FULL list of ingredients is at the bottom of this post!). Place the Syn free Rogan Josh Curry paste in a sterilised jar. The mix will last a few days. You can also freeze it into ice cube trays – to use when ever you like! Place the lamb in a non reactive bowl, along with some of the curry paste. Add the fat free yogurt (natural or greek) and some salt and pepper. Mix well, then cover with cling film and place in the fridge for at least an hour. Spray a large frying pan/wok with Frylight. Add the marinated lamb along with your chosen veg (we used peppers, cauliflower and butternut squash) and the water. Bring to a boil, then place a lid on the pan and simmer for 30 minutes. Remove from the heat, and add the fat free yogurt, and a small bunch of roughly chopped coriander – stir well. Then serve! 80 g Red Pepper from a jar in brine! 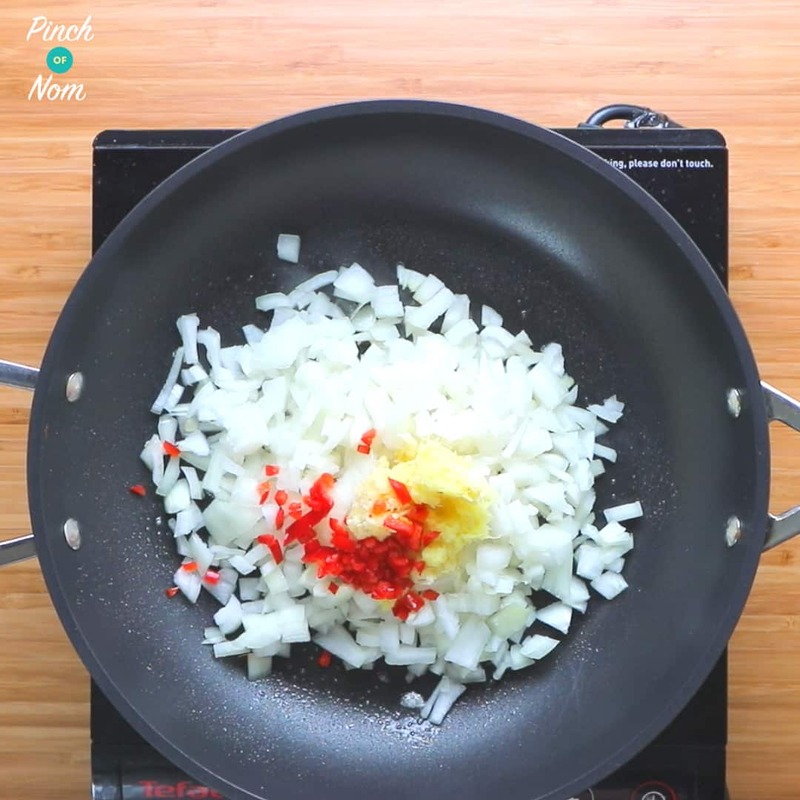 Spay a frying pan with low calorie cooking spray, and fry the onion, ginger and chilli until brown. 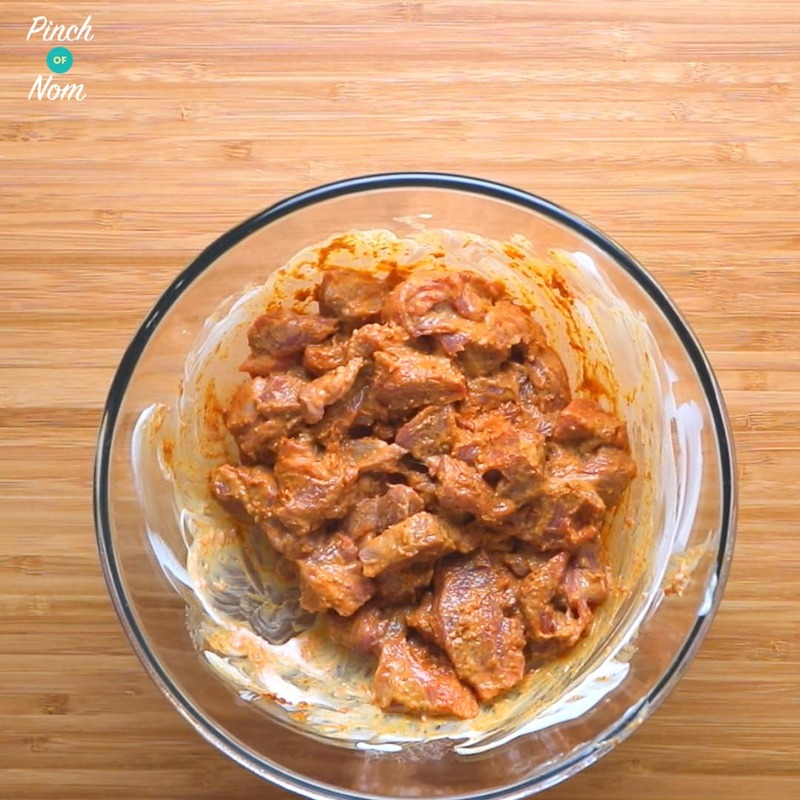 Place the Syn free Rogan Josh Curry paste in a sterilised jar. The mix will last a few days. You can also freeze it into ice cube trays. Place the lamb into a non reactive bowl along with 2 tbsp of the curry paste. Add 2 tbsp of fat free yogurt (natural or greek) and some salt and pepper. Spray a large frying pan/wok with low calorie cooking spray. Add the marinated lamb, vegetables and the water to the pan. Bring to a boil, then place a lid on the pan and simmer for 30 minutes. Remove from the heat, and add 2 tbsp of fat free yogurt, and a small bunch of roughly chopped coriander - stir well. Then serve! The recipe says add water but not how much or is it the veg are cooked first and its, add the veg water? Our mistake! The recipe has now been amended. The water is added with the marinated lamb and vegetables before you simmer for 30 minutes. Hi the recipe does not tell you the quantity of water to be added. Thank you. The recipe has now been amended. The recipe states 125mls of water, in the list of ingredients. It’s added with the marinated lamb and the vegetables before simmering. Can you do this in the slow cooker do you thinks? Hi Katy, you would have to do the initial cooking on the hob, but instead of simmering in the pan, you could transfer to the slow cooker at this stage in the cooking process. OMG we loved this. Even my sister who isn’t on Slimming world loved it. I changed it from lamb to chicken and it was sooo nice. Me and my sister would live on curry if we could but everyone we have tried doesn’t quite hit the spot but this was amazing… love it. thanks. How much curry paste does this make please? The recipe makes enough curry paste for at least 2 batches of the Lamb Rogan Josh curry recipe. Once you combine all the ingredients can you slow cook the curry in the oven/slow cooker? No, the garlic is added in step 2 of the section on making the paste. I’m finding it difficult to find red pepper in a jar in brine. Most seem to be in oil. The only one I can find has the following ingredients: Roasted Red Peppers, Water, Red Wine Vinegar, Sea Salt, Grade Must. Does that sound right? It’s not cheap. Can I just use a fresh pepper and cook it with the onions? The jar you’ve found sounds fine. You usually find jars of peppers in brine or vinegar with the olives and pickles etc in the supermarket. Do you think this could be done in a slow cooker? Many thanks. Yes, that would be fine! I made this with chicken. Don’t know if that has made any difference? 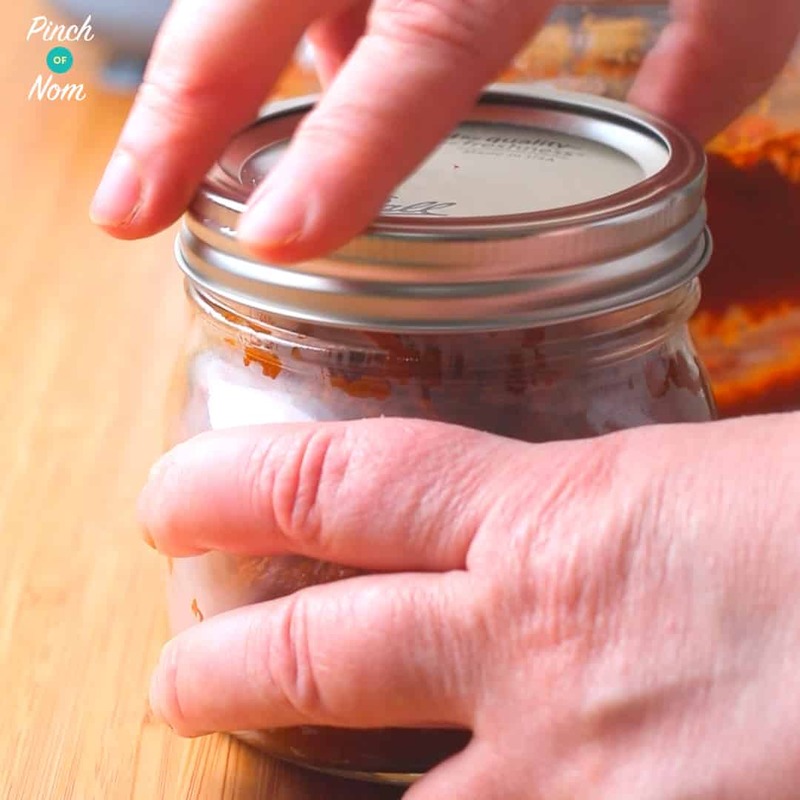 You would need to make the paste first, then as long as there is a sauté function on your machine, you should be able to make this in the PKP. 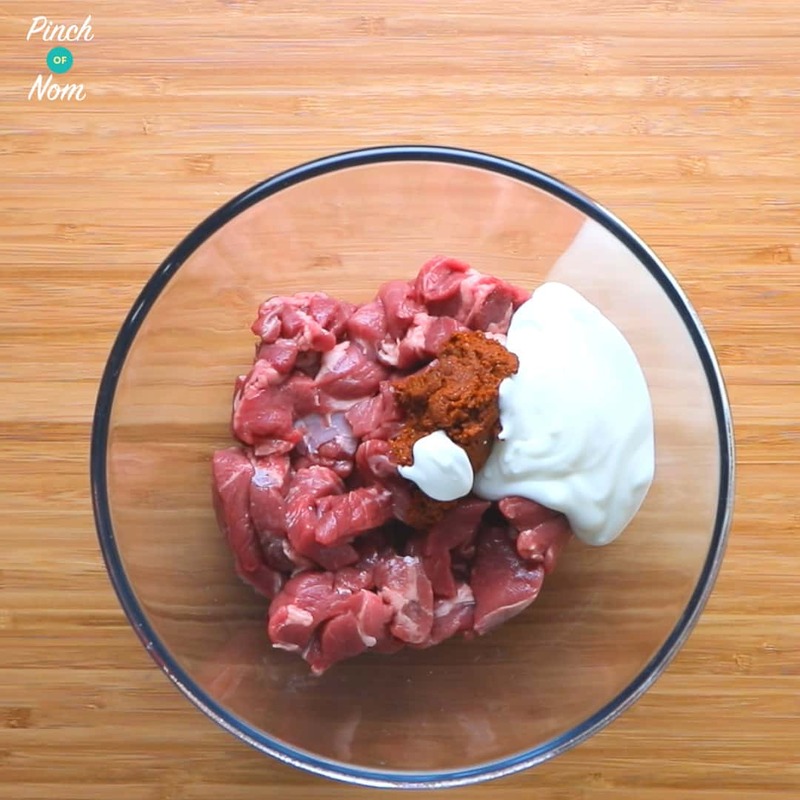 It’s fine to make with beef instead of lamb. Hi, could I use quark rather than yogurt and would it make any difference? 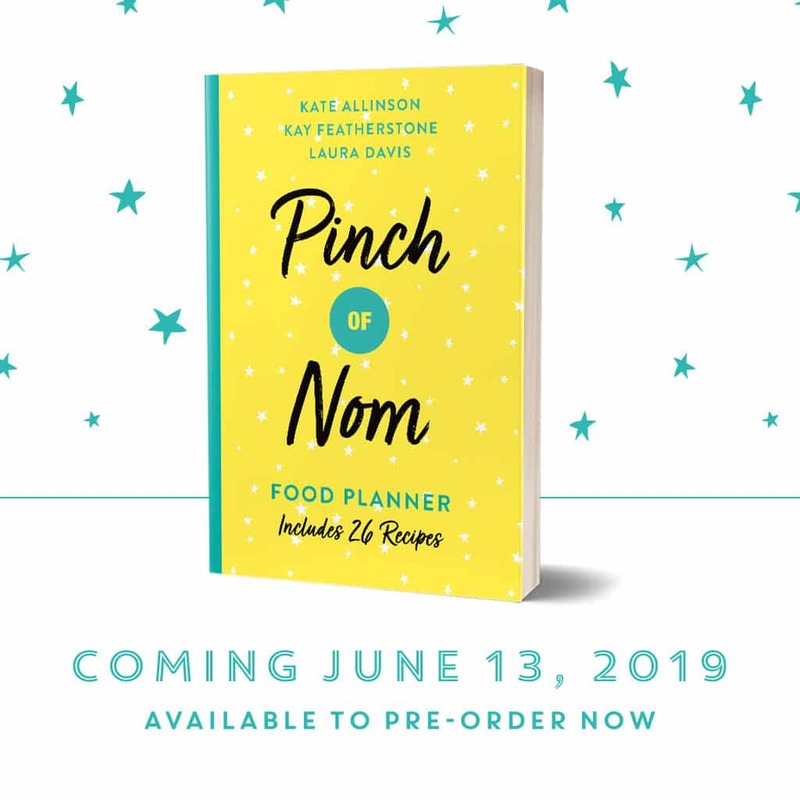 Hi, I love this recipe. But I wondered if it’s OK to double the amount of ingredients to make more. Just wondered if doing that would alter the outcome. Thanks. Thanks for getting in touch, Vera! So glad you enjoyed it. I add spinach to everything too – great choice! Really enjoyed this curry and very easy to make. So glad you enjoyed it, and that you found it easy to make, too. Thanks for getting in touch! Hi I made this last night and it was delicious (Lamb rogan josh ) however I had to alter the cooking times a bit because my husband doesn’t like vegetables too hard and the butternut squash was still like rock after 30 minutes ! Perhaps next time I could par boil them before adding or did I miss something out of the recipe ?! It might’ve been that your veg weren’t diced small enough so needed a bit longer to cook. You could always precook them and add them in at the end!